I've been writing for decades but I've been blogging for less than a year so I feel somewhat diffident about giving advice. I've learned more from the NBI than anyone's likely to learn from me and I certainly don't have much insight to offer on the technical side of putting a blog together. So this is more an observation than a piece of advice. 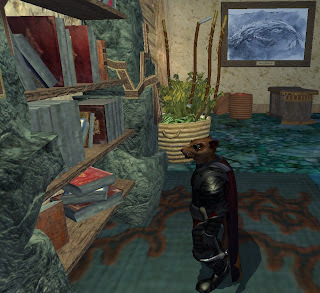 If you plan on playing MMOs and blogging about them as well, it helps if you have a job where you can blog from work. I mentioned last time that before blogging existed I was deeply invested in the zine scene. For something over a decade I wrote, designed, laid out, pasted up, photocopied, collated and mailed apazines. It took up some of my free time but I was fortunate to have a job that let me get a lot of pages finished during the working day. I was able to be enormously productive without really losing out on anything else I wanted to do. I don't have a job like that any more, so I do most of my posting at the weekend. Fortunately, like Travis McGee I am taking my retirement on the installment plan. I never work Sundays or Mondays and every other week I don't work Saturday or Tuesday either. Those are my blogging days. It works well for mood pieces and theorycrafting but not so well when I want to jump the news train. Sometimes I spot something I'd like to respond to but before I can get anything done the moment's passed. 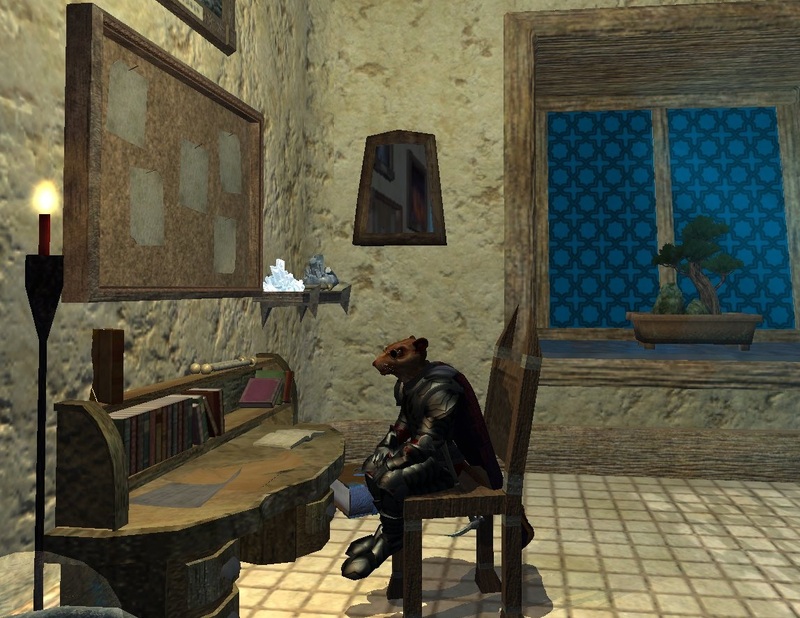 Blogging about MMOs isn't always conducive to playing them, either. 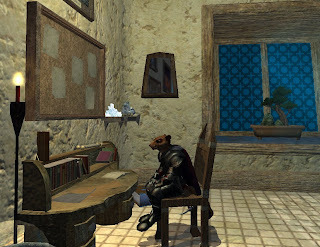 Keeping up a blog can eat into the day and playing MMOs is already a famously time-consuming hobby. If you plan on doing both there may be conflict and choices may have to be made. Are you going to potter around sorting out your banks? Ask if anyone in the Guild wants to do anything? Or should you knuckle down and get a post done? An average post takes me a couple of hours, a really well-considered one could take a whole afternoon. Starting up a blog doesn't magically add bonus hours to your day so being able to take your blogging hours from a different pool than your gaming hours helps a lot and I'd guess from the times the posts tend to appear that many, probably most of the blogs I follow are done at work. Where did I put that blasted thesaurus? Since it's unlikely and indeed inadvisable that you'll be willing to change your profession just to get more blogging time in, my actual advice is to pace yourself and develop your time management skills. Don't paint yourself into a corner where every post takes hours to produce. Throw in a few short squibs between the dissertations. (Classic "Do what I say, not what I do" there!). 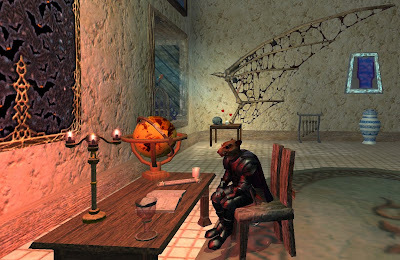 Work out where the blogging time's going to come from before you find yourself resenting the tyranny of the blank page that takes you away from the thing that brought you there in the first place - the pleasure of playing MMOs. And as others have said, don't obsess about numbers, page counts, followers, traffic. Write what you want to write, when you want to write it. Speak when you have something to say, not just to hear the sound of your own voice. Some of my favorite bloggers, like Potshot for example, seem to post once in age but when they do it's like getting a surprise package in the mail. Gordon at We Fly Spitfires dropped from posting almost daily to about once a week but I look forward to seeing what he has to say just as much as I ever did. I guess what I'm saying is relish your gaming and your writing. Don't let blogging about MMOs turn into yet another MMO grind. And if you can get The Man to pay you while you blog, well that's just sugar on top! My job doesn't give me much time to write, but I have the blogger app on my iPhone, so I write posts while I'm smoking in the garage at home. That way it doesn't kill any game time. I often wish I could blog from work, especially as it can have some extremely quiet periods with nothing to do, but unfortunately it's not permitted. So I always try to plan a post or two ahead when I know that work will keep me busy for a couple of days, so I can then knock something out relatively quickly in the evening. Good advice! Awesome! The zine scene also got me started in writing. Although I just wrote, and wasn't involved with the layouts and other tedious parts of it. I couldn't blog at work either. But I take a 45 min train commute 4x a day. So, I just use the Wordpress App to write drafts, notes and ideas. Then I'll just fix em up on my days off. So Sue Me! Another GW2 Post. Kickstarter - Sport of the Future.